Tammy Park joined Corn Capital Innovations in 2011 and works as their Finance Assistant. She assists with accounts receivable, accounts payable, and all facets of CCI’s inventory tracking. Tammy also aids in processing the paperwork necessary for crop insurance sales. Her philosophy of providing outstanding customer service hinges directly on the relationship she builds with each customer. She truly believes customers deserve honesty, loyalty, and open communication. Tammy was raised on a diversified grain and livestock farming operation near Colman, South Dakota. Her love for farming led her to make agriculture a part of her entire life. When she married her husband, Todd, in 1988, they moved to a farm near Colman where they lived and farmed for more than 10 years. In 1999, Tammy and her family moved to Renville County to pursue agriculture in a progressive farming community. Tammy pursued a career in insurance and worked in the insurance field for over 10 years. Today, Tammy is a licensed Insurance Agent which keeps her close to agriculture and in touch with farmers. 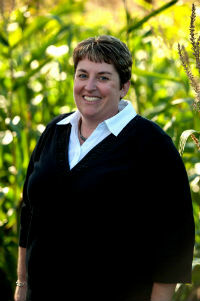 Tammy joined Corn Capital Innovation with a wealth of knowledge in both farming and Ag business. She and her husband have three children, Trista, Trina, and Tyler. They enjoy camping, fishing, and other outdoor family activities.